PROOF Your Thoughts do Alter Physical Reality in this experiment I did. Here’s what I did. Your body responds in exactly the same way. Anything you say, feel, think affects your physical reality. All I did was label the tubs. A few times I spoke the labelled words to the tub. Most of the time it was just the label that did this. Watch this video. Here’s proof. Youtube is filled with other people doing this experiment. In my case I want you to know how this affects your health and how your mind works. Personally, I do not wish to know anyone who has not had a personal experience. When someone has an opinion with now experience to back that up, that is called wishful thinking. Or even deception. Life being so limited in the context of how much we can explore and grow, why waste it on hearsay? My clients consistently share in these recordings in my site the changes that can best be explained by this experiment. 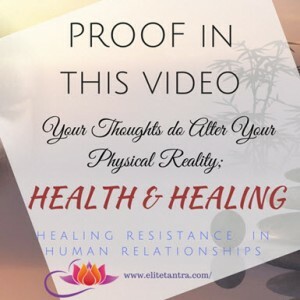 PROOF Your Thoughts do Alter Physical Reality is not just about thoughts. It’s about thoughts that are followed by action. To change current reality we need to have a new experience. Physical experience that is transformation is achieved in first session. To do that we need to be aware of resistance. Resistance to PROOF Your Thoughts do Alter Physical Reality cannot be questioned when you researched different search terms. When we don’t have knowledge of what to ask for this limits what we can see and hear. With this in mind it’s important to take the time to replay videos until new possibilities are felt in your body. Proof of higher consciousness is evident in this video. Receptivity is a vibrational reality that you want to realise. Begin with accepting that there is a new pathway to feelings receptivity. This pathway has never been opened. You will experience resistance at first due to conditioning. Most people translate feeling to the known experiences. This stops growth. Naturally high pure positive vibration is represented in this video. PROOF Your Thoughts do Alter Physical Reality is in observing without interpreting. 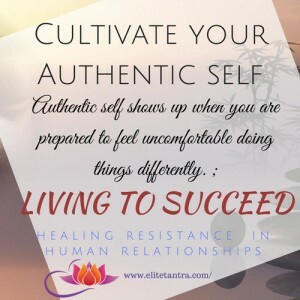 First step is to identify that you are resisting. Then feel how to let go of resistance. This entry was posted in Health Healing and tagged Alter Physical Reality, higher consciousness, let go of resistance on 12/03/2018 by Tasha. 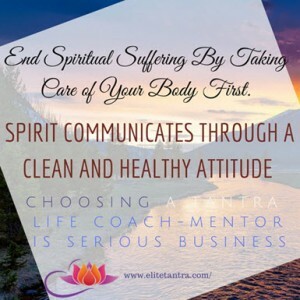 End Spiritual Suffering By Taking Care of Your Body First. Then by helping at least one other person achieve what you have achieved. In the meantime you continue to expand beyond your five senses. Where most people make the biggest mistake is that they stop at just one level of achievement. it is just like a baby lifting its head and says yep, I’ve lifted my head. I only did you another thing to the rest of my life. In case you find the baby to be retarded. So in reality when you achieve once they stop at that level you are a man of retarded adult. There is a dumbing down of society. I’m sorry to be so blunt. That is what most people have done. Particularly in the line-up tantra. Therefore to End Spiritual Suffering we need to look at the same way. We are beginning like that newborn is trying to lift its head. as you continue to grow with in the other dimensions as well is physically and mentally and emotionally, you have access to all the knowledge embedded in your cellular memory. Your spirit has embedded programming. In our upbringing due to immunisation toxic food toxic clothing air and human interactions we lost. Personal development mentor skilled in this area can help you move through this stage of detoxification efficiently. We put an End Spiritual Suffering when we share with others our personal journey. Sharing is the highest level of personal growth. Sharing is the highest level of personal satisfaction. When we give and receive tenfold. When we give we are energised. When we give we receive energy rather than lose it. Mostly, our spiritual suffering as a result of competition and lack of creation within our lives. it is result of division and being manipulated by the system. Whether the system is spiritual of the church will support if we let that affect every aspect of our life and we suffer. In fact many experts professional footballers actors don’t know where their work stops in how to have their personal lives flourish. We hear of most professional sporting people actors musicians of brilliant at what they do. Why, that’s because they put so much time into it. Within condition to put time into our profession. We have gone to school at 10, 12 maybe the 20 years if you got universities. Therefore we been trained to do brilliantly at work or at our profession. But there has been absolutely no time to develop our life skills in relationships. This is why you hear a lot of the problemsof abuse including sexually abuse in the work environment. Because these are personal relationships that we have not mastered. We’ve chosen to overlook that. The Only way to End Spiritual Suffering is to begin to be very aware of how we treat our environment. by that I mean the air we breathe. Our air is also a spirit. The water we drink is also spirit energy. The food we eat with a with animal plant or milk these carry spirit energies. Everything has a consciousness. We have only divided ourselves from the consciousness of everything that keeps alive. In doing so will also divide ourselves from our partners and families and communities. It is within these are spirit energies. End Spiritual Suffering we do in our volunteer training or in a private retreats as a follow-up to one-on-one appointments. On Going Mentoring to End Spiritual Suffering is adapted to your past history and lifestyle challenges. Then may extend to business Spirit energy mentoring. When the news tells us about these transgressions we get angry. Why should we be surprised. To End Spiritual Suffering Right now today we need to begin to talk about it. When we don’t have the skills where all we do is talk about the problem, then we do not create warm caring yet respectful relationships in the workplace. Understand the difference between anger management and healing the source of your anger. People who have been inappropriately treated need special support. People who are continuing in inappropriate behaviour need special attention to. If you are having special challenges in your behaviour contact me immediately to stop right here right now and help you grow. You can End Spiritual Suffering Right now. Because if you are participating in inappropriate behaviour you are suffering deeply from this association. I’m here to help you. This entry was posted in Me Too and tagged anger management, business Spirit energy mentoring, clearing negative energies, connection to cellular wisdom, develop life skills in relationships, divided ourselves from consciousness, dumbing down of society, End Spiritual Suffering, Everything has a consciousness, Healing sexual abuse, healing the source of your anger, Healing trauma, highest level of personal growth, how we treat our environment, inappropriate behaviour need special attention, lack of creation within our lives, lifestyle challenges, manipulated by the system, participating in inappropriate behaviour, Personal development, Personal development mentor, personal lives flourish, professional sporting people, respectful relationships in the workplace, spirit energy, Spirit energy mentoring, toxic clothing, toxic food, Your spirit has embedded programming on 07/03/2018 by Tasha.